MAGICAL Christmas memories begin with a day out at Gulliver’s Santa’s Winter Wonderland where families can discover a host of seasonal surprises this winter! From November 25 to December 23 at Gulliver’s World Warrington and December 2 to December 23 at Gulliver’s Land Milton Keynes – Gulliver’s theme parks will be transformed into a magical feast of festive fun. Nothing gets you in the mood for Christmas like a trip to Gulliver’s and we’ve teamed up with them to offer 2 lucky readers the chance to win a Christmas Smasher package for a family of four, to get their Christmas off to a wonderful start. Each Smasher package includes access to a wide selection of rides and attractions across the park, all given a Christmassy touch. 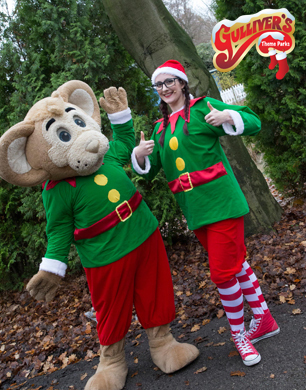 Other yuletide attractions included in the package include Gully Mouse’s Christmas Show, don’t miss the ever-popular Elf School where little ones can enjoy learning elfy antics, and Mrs. Christmas’s Kitchen with its opportunities for creating some scrummy seasonal treats. At Gulliver’s World all children can take a trip on the Santa Express to the magical grotto and visit Santa himself and choose their own gift. 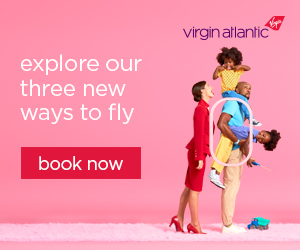 A range of other packages, including extra entertainment and various festive food options are available, plus midweek packages for toddlers and special events including Festive Fireworks on December 22. As Santa prepares for his trip around the globe, on Christmas Eve December 24, at Gulliver’s World in Warrington there will be a special Santa send-off. StyleNest has teamed up with Gulliver’s, to offer 2 lucky readers the chance to win a family ticket. Simply fill in your details in the form below to enter. The family Christmas Smasher prize is valid for up to four people (minimum 1 adult and 1 child). Winners will be contacted by Gulliver’s hotline to arrange their visit on a mutually agreed date, subject to availability. Winners will be contacted by Gulliver’s hotline to arrange their visit to their preferred park on a mutually agreed date between 21 to 29 October 2017, subject to availability.